Among all the open source PHP frameworks I’m willing admit that Laravel is easily my favorite. It hasn’t been around too long but it has changed the way many people write PHP for the better. Learning Laravel can be tricky without a self-made curriculum of tutorials. 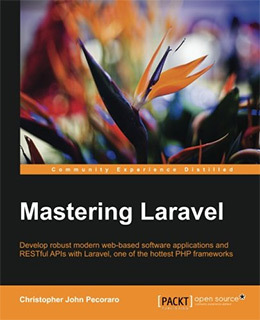 But there are books that teach Laravel in great detail including beginner and advanced subjects. I recently covered the best Zend PHP books and in this post I want to cover the absolute best Laravel books for teaching yourself the framework from scratch. You should have some prior experience with PHP but you can be a novice in Laravel and become a master with the right study materials. If you’re brand new to Laravel I’d recommend starting with Laravel: Up and Running by O’Reilly. 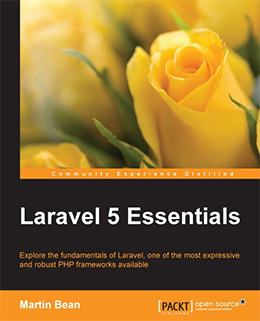 It’s a newer title covering all the specs for Laravel 5.2+ and offering a clear introduction to less-experienced PHP developers. Other books in this post offer supplementary material and even other beginner books would compliment nicely with Laravel: Up and Running. The current version of Laravel is 5.x so anything related to Laravel 5 is a good choice. This brings me to Laravel 5 Essentials by Martin Bean. You do not need any knowledge of Laravel or frameworks before starting this book. 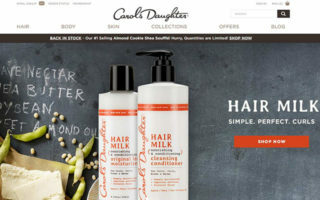 It will cover all the fundamentals like installation and database setup through live examples. 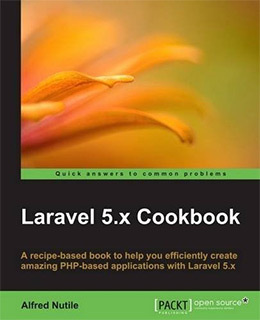 Unfortunately since the code in this book covers Laravel 5.0 you may have trouble running it on Laravel 5.2(the current version). 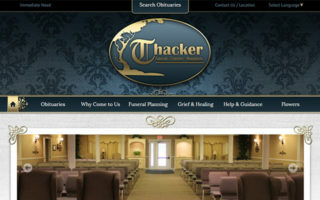 For this reason alone I wouldn’t recommend this as your first starting point. But it’s worth having on your radar so you can pick up a copy if there’s ever an updated 2nd edition. 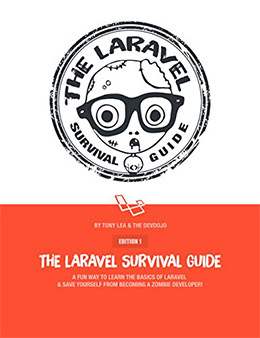 Terse and to the point accurately describes The Laravel Survival Guide. It’s much cheaper than most other books here and it‘s only 116 pages long. But the information is crucial for developers who have never worked in a framework environment before. PHP is notorious for allowing devs to hack together solutions without any semblance of best practices. With this survival guide you’ll be forced to learn the best way to work with MVC, create routes, handle authentication, and dozens of other beginner topics. For the price it’s not a bad reference guide and it’ll set you on the road to writing proper Laravel code. However I do think a beginner will need another intro book on top of this one. It’s not super friendly to beginners and it just throws you into the fray of code samples. Many developers worry about outdated books and thankfully you don’t need to with this one. The Laravel 5.x Cookbook was first published in early September 2016 offering recipes for Laravel 5.2 and earlier. The author Alfred Nutile has been working in the industry for over 15 years and really knows his way around Laravel. His cookbook totals 416 pages with over 60 unique recipes for Laravel developers big & small. Most code focuses on pure Laravel but you also learn recipes for Elixir and PHPUnit. 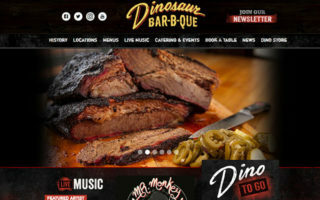 Some recipes even work into JS frameworks like Angular and Gulp.js for task automation. Efficiency and speed are crucial when building complex applications. Systems often lag on the web and there’s only so much tinkering you can do on the server to improve performance. Laravel Design Patterns and Best Practices covers practical code examples that teach how to build Laravel webapps the right way. You’ll get dev patterns that can be reused in the future and even code snippets like modules that can be copy/pasted between projects. MVC is covered in great detail along with Laravel’s common design patterns like the Builder pattern and the Repository pattern(plus a couple others). 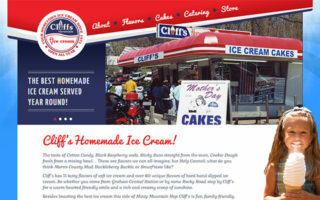 You get to choose what fits best in your work so there’s a lot of info here for everyone. The examples are great but I also think they’re beyond a beginner’s level. If you’re a Laravel novice you should look elsewhere. But a somewhat experienced beginner-to-intermediate developer could learn a lot from this book. Laravel devs are picking up interest in Angular.js because the two seem to play nice together. Google’s newest update to Angular 2 leaves many devs looking for a way to learn and apply the framework in real practical examples. 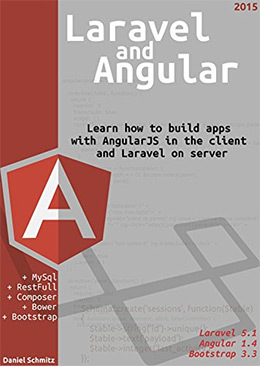 Laravel and AngularJS is a fresh new book spanning 300+ pages. It assumes some knowledge of Laravel and Angular, but no expertise in either. The author covers Composer and how to use it to install a new Laravel project. He also explains the Bower package manager and how to set that up for your project. 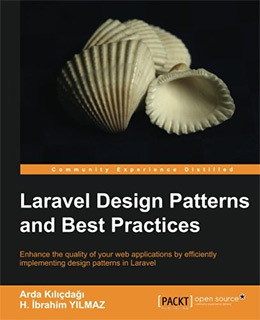 Most of the book covers a very technical process for launching any new Laravel/Angular webapp. But the best parts explain how you can merge these two frameworks in practical real world situations. I know there’s only a small group of people interested in this topic, and for those people I would highly recommend this book. Eloquent ORM is built into Laravel to help you work with databases using specific models for each table. The concept seems complicated but in practice it’s easy to understand. Learning Laravel’s Eloquent is only 150 pages long but dives deep into the Eloquent database configuration. You’ll learn to setup a brand new Laravel project with Eloquent and customize the features. This book also teaches how to build queries for each model connecting into the database. Ideally this process will save you time and make your Laravel applications a whole lot easier to build. However this isn’t really a Laravel book, but rather an Eloquent ORM book. You should already understand Laravel so this book will only help intermediate-to-advanced developers itching to dig into Eloquent. 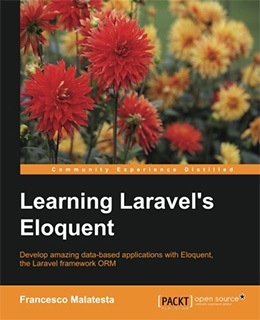 This upcoming title released by O’Reilly is a solid introduction to Laravel with practical examples. Laravel: Up and Running by Matt Stauffer teaches every single aspect of Laravel from the ground-up. You can start with zero knowledge of the framework and walk away with enough confidence to launch your own application. Advanced developers will not get much from this book. However complete novices will learn everything they need to know about Laravel projects. This is not a study guide, but rather a look into Laravel through practical real-world examples. If you need an affordable book to start practicing Laravel from square one then this would be my recommendation. Packt often releases new “mastering” book series for advanced developers and these books are met with mixed opinions. But I feel that Mastering Laravel is easily the best step forward for active PHP developers. 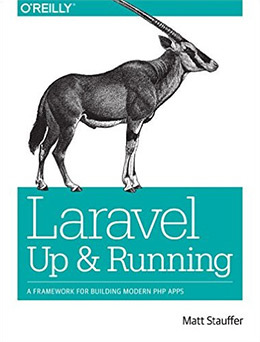 If you already know the basics of configuring Laravel and creating a basic webapp then you’re ready to move onto this book. It covers best practices and patterns for large Laravel applications. The author gets into behavioral-driven design, unit testing, and even continuous deployment for live web projects. You’ll also get into caching techniques for large scale applications and building proper documentation for your Laravel app. Once you’re past the basics of this framework I would highly recommend grabbing a copy of Mastering Laravel. It covers real applicable techniques for building and launching Laravel projects at scale on the web. These eight books should offer enough Laravel content to take you from a complete novice to a competent Laravel developer. 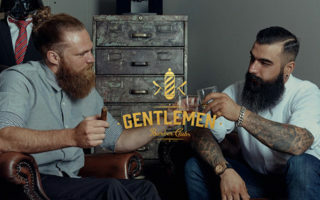 You can learn everything from basic installation to final deployment and everything inbetween. If you’re just getting started then I’d recommend either Laravel 5 Essentials or Laravel: Up and Running. Both are fantastic choices for anyone with zero knowledge of Laravel. 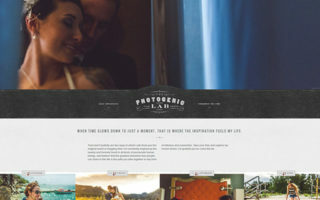 From there you can pick and choose the resources most beneficial to the projects you want to build. And as Laravel improves over time we can expect even more great books covering this popular PHP framework.